There is no email or phone support for ethOS. Support is available 24/7 for ethOS customers who are compliant with the ethOS License Agreement. If you need support, you must provide a gethelp Diagnostics File. Asking for support without providing it may result in a kick or ban. Connect to IRC with the below guides. Run gethelp in a terminal on your rig, and copy/save the output link (you can also run /gethelp while inside the IRC channel). Paste the gethelp link in the support channel, describe the issue in your own words, include recent changes and any troubleshooting steps that you have done. Wait for a reply and talk in channel. Enter a nickname for yourself. Do not change the "channels" field. Do not checkmark "auth to services". Checkmark "i'm not a robot". Click connect and wait up to 15 seconds to connect to the IRC channel. Run ethoschat-local in your ethOS terminal. Wait up to 15 seconds for your rig to join the IRC channel. ALT+TAB between the regular Terminal and the ethoschat Terminal. As of ethOS 1.3.0, you can run /gethelp directly in the IRC chat window. To quit ethoschat, run /exit inside of the ethoschat Terminal and ALT+TAB to the regular Terminal. Run ethoschat in your SSH session. To quit ethoschat, run /exit inside of your SSH session. Run helpme to get a list of commands, your stats panel link, and rig status. Force ethOS to keep local.conf changes after Reboots. In /home/ethos/local.conf , change "0x0bdC4F12fB57d3acA9C3cF72B7AA2789A20d27f2" to your wallet (Editing Files with Nano). Change both user "ethos" and superuser "root" password with passwd ethos and sudo passwd to secure your rig. NOTE: If you would like to reset all configs to their factory defaults, use reset-config. All ethOS configuration is done by editing a configuration file. NOTE: To retrieve your wallet address, you can email it to yourself, then open the browser with browser and retreive it from your email. Use the arrow keys on your keyboard to navigate around the text and delete the default wallet. Paste your own wallet with CTRL+V. Type CTRL+X, y, then press the Enter Key on your keyboard. Copy your token from your gpuShack account with CTRL+C. Paste your token into the file with CTRL+V or SHIFT+INSERT (depending on your terminal). If you have trouble, watch the EthOSdistro Panel Authentication Walkthrough. For AMDGPU: Set globalminer claymore-zcash or miner [worker] claymore-zcash in config. For NVIDIA: Set globalminer dstm-zcash or miner [worker] dstm-zcash in config. Set proxywallet to your zcash wallet. Set proxypool1to your zcash pool (example pools: flypool and nanopool). If you experience crashing, revert to all stock clocks, check again, then revert to stock bios (flip GPU bios switch). Set globalminer xmr-stak or miner [worker] xmr-stak in config. Set proxypool1 and proxypool2 to your Monero pools (both pools must be defined). (to remove, sudo hotfix remove-xmr-memfix). Some pools do not support worker names. If you would like to remove your worker name, add globalname disabled or name [worker] disabled to your config. Add --amd /home/ethos/xmr-stak-amd.stub.conf to the end of your xmr-stak=flags line in your config. Edit the newly created stub file with nano xmr-stak-amd.stub.conf using the dual-thread documentation as a guide. Save and run minestop to apply. For more information on how to use this configuration file, refer to fireice-uk's tuning guide. Mining ethash on 3GB GPUs requires at least ethOS 1.3.3 and Claymore 12 to run correctly. As of ethOS 1.3.3, you can increase the hashrate of older GPUs (Tahiti/Tonga/Fiji Series) by switching the driver from fglrx to amdgpu. NOTE! If you do not have any of the above GPUs, DO NOT PROCEED with the below guide. Please also note that most hashrate improvements are limited to ethash mining. Follow the below instructions to set your driver to amdgpu. After you rig reboots, your Tahiti, Tonga, and Fiji GPUs will have an increased hashrate. If reupdate fails, reimage to your supported drive. If you bought ethOS, and you don't have your download instructions, please see these instructions. NOTE: To mine XMR, see the XMR guide. These fixes must ONLY be run on ethOS 1.3.1. Do not run these fixes if you are not affected by the problem that the fixes resolve. You can apply these fixes by copying and pasting the code text below into your ethOS terminal, then hitting the Enter key. Fixes issues associated with NVIDIA GTX 1060 6GB Rev2, NVIDIA GTX 1060 5GB, and NVIDIA Titan V.
NOTE: Breaks power usage display on NVIDIA GTX 1050Ti GPUs. Allows iGPU to be used with more than 9 GPUs on AMDGPU (RX) rigs (uninstall option for users who do not use iGPU). Enhances 1080 / 1080 TI / Titan XP hash rate on Ethereum and potential other algorithms. Follow the below procedure word-for-word and do not skip any steps in order to successfully write ethOS to your boot media. Download the ethOS file (the ethOS file is an archive that ends in .xz). Extract the downloaded archive with 7-zip, it will extract into approximately a 5.0gb image. NOTE: Do not use the native Windows unzip utility. If you use it, the downloaded archive will not extract properly, and will be corrupted. Do not mount the file. Use Raw Copy Tool (available at http://hddguru.com/software/HDD-Raw-Copy-Tool/ ). Plug in your USB or SSD Drive. If using an SSD, plug in the destination SSD to the sata power cable first, then to the sata data cable. Do not use a USB 2.0 drive, it is too slow. Raw Copy Tool will recognize the drive and allow you to clone the ethOS .img onto the drive, sector for sector. Download and uncompress the downloaded file with unxz /path/to/ethos.xz, it will extract into approximately a 5.0gb image. Clone your source to your destination. VERY IMPORTANT, if you make a mistake and accidentally clone to a different drive, you will cause CATASTROPHIC DATA LOSS. Watch the progress. ddrescue should finish with no errors. After it is done, it is safe to shutdown and power off your rig. The ethOS drive is now ready for use. Plug in your destination USB Drive. If using an SSD Drive, use a USB to SATA adapter. Do not use a USB 2.0 drive, it is too slow. Open "Disk Utility" (Spotlight -> search for "Disk Utility") and select your external Drive from the left sidebar, then click "Info" at the top. Note the device IDENTIFIER of the destination drive (it could be something like disk2 or disk3, it may vary). IMPORTANT: Selecting the wrong IDENTIFIER will cause catastrophic data loss. Select your destination drive and click "Unmount" at the top. Press the Enter key and wait for the extraction to complete. Press the Enter key and wait for the disk imaging process to complete. When the process completes, you might get message alert saying that the drive is not readable. Eject the drive at this point. The ethOS drive is now ready for use. Rigs do not need a power button. After this guide, you can use the I/O switch on the PSU to power the rig on and off. Build your rig as if you were building a bench-test computer. Use the motherboard manual if necessary, and connect all components. Make sure your PSU is plugged in, and that the PSU switch is set to the ON position. Plug in the RAM to the RAM slot(s) that are furthest away from the motherboard CPU socket (to avoid dual-channel RAM power cycling). Boot your motherboard by shorting the power pins with a small metal tool (screwdriver). Upon boot, go into the motherboard bios and set BOOT ON POWER to ENABLE or AC BACK ON (consult your manual). Save your settings, and exit. During initial setup, you can connect a keyboard and monitor to your rig to watch it boot up. Without using a riser, attach a GPU to the gpu0 PCI-E slot on your motherboard. (ignore all 1x slots, the gpu0 PCI-E slot in always the LONGEST 16x PCI-E slot that is physically closest to your motherboard's CPU socket). Attach your PSU 6/6+2 PCI-E power cable pins to the GPU PCI-E power cable jacks (located on the back of the GPU). All of the jacks must have PCI-E power cables plugged in, there must not be any empty jacks. Attach a monitor to the left-most DVI port of gpu0. If you incorrectly connect your monitor to another GPU or to onboard video, you will get a blank display. If your rig POSTs, you will see a GPU detection screen during bootup. If your rig does not POST, power off. Check to make sure the CPU, CPU cable, and 24-pin ATX cable are seated properly. Then, test each stick of RAM individually in each RAM slot. ethOS will boot to the desktop automatically. After your rig boots successfully, all interaction with ethOS is done via the terminal screen. Once the ethOS desktop is displayed, you can power off and add more GPUs. Make sure to populate all long 16x PCI-E slots first, and once they are all populated, only then you can populate the short 1x PCI-E slots. If fewer GPUs show up here than are connected to your rig, check all connections and reboot, If some GPUs are still missing, it is a hardware, riser, or motherboard bios problem, not a software problem. No linux command will fix this. Remove all non-ethOS drives from your rig. Plug the ethOS drive to your rig. If using an SSD, plug in the SSD to the sata power cable first, then to the sata data cable. The rig will boot to the ethOS desktop, and the fans will ramp up. The fan ramp-up is normal and is not indicative of a crash. NOTE! If your rig gets stuck on rEFInd error, you must set FAST BOOT to DISABLE in your motherboard bios. UEFI: usb : (NAME OF DRIVE) to USB: (NAME OF DRIVE), i.e. change from USBU to USB. Try a few different SATA ports on your motherboard, some may be disabled in BIOS. Try a different SATA power connection, it may not be seated properly. Try a different SATA data cable, it may be faulty. If the issue is not resolved, reimage the drive from the ethOS download link to your current drive, or a spare drive. If you have many GPUs, make sure that no GPU is plugged in directly to any 16x slot. Risers must be used for all GPUs. Unplug all GPUs except for gpu0 (ignore all 1x slots, gpu0 is always the 16x PCI-E slot physically closest to your motherboard's CPU socket). 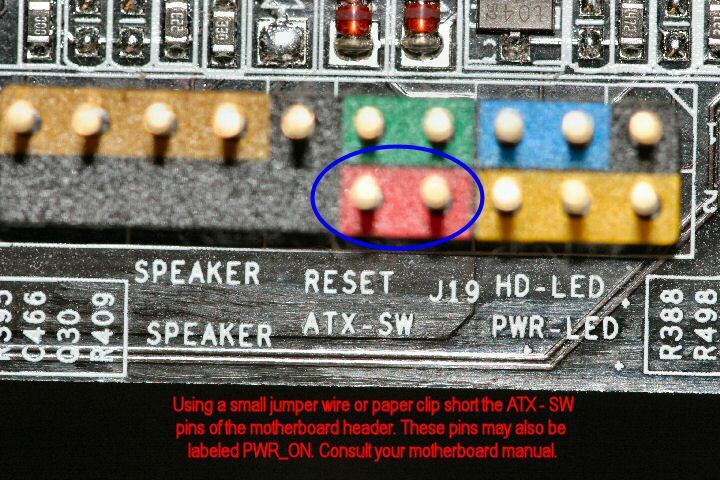 If your motherboard has molex or PCI-E onboard power jacks, make sure to plug the correct cable into them. If your motherboard has two ethernet ports, disable one of them in the BIOS. Follow the guide for Initial Setup. set VIRTUALIZATION (C1E) to DISABLE. set POWER CONTROL (SVM) to DISABLE. set CPU UNLOCK to ENABLE (this may prevent CPU temp from being read properly). set COOL AND QUIET to DISABLE. set CPU CORE CONTROL equal to the amount of CORES PER PROCESSOR for your particular CPU make/model. set ONBOARD AUDIO/SOUND (AZALIA) to DISABLE. set APU ONBOARD GRAPHICS to DISABLE. set CPU FREQUENCY SCALING to DISABLE. set CPU PERFORMANCE MODE to ENABLE. set FAST BOOT to DISABLE. Allow rig to boot completely with just one GPU, then update ethOS. After update, reboot, connect the rest of the GPUs. set VTd INTEL VIRTUALIZATION to DISABLE. set ONBOARD GRAPHICS to DISABLE. set PCI-E GENERATION to GEN2. GPUs use a lot of power, and risers must have power balanced properly. Rigs will crash and may never start mining if they are not balanced. You must use 1 riser per GPU, and GPUs must not be plugged directly into the motherboard. If possible, connect no more than 1 riser per PSU cable. Use PSU MOLEX connections when possible, no more than 1 riser per MOLEX cable. If you don't have enough PSU MOLEX cables, use the RISER SATA adapter, and connect the riser to your PSU SATA cables. Connect your risers to the MOLEX or SATA connector that is physically closest to your PSU box, to reduce heat/resistance. Do not connect any more than 2 risers to any single MOLEX or SATA cable from your PSU. Follow the below guide if you have an Intel Z170/X/270/X/H110 motherboard and you experience problems booting with 5+ GPUs. Unplug all GPUs except one, and boot. Once you are on the latest version of ethOS, run lga1151-flasher. After it says Successfully Installed Bios, power off your rig. Plug in all GPUs and boot into ethOS. If the script returns No Bios Found, the ethOS support team will be notified automatically. Wait up to 24 hours for ethOS support team to add support for your Motherboard. Try to run lga1151-flasher again to resolve the issue. If you have a motherboard that is not supported by lga1151-flasher, you can also update your motherboard BIOS version to the latest manufacturer firmware manually, yourself. Under "Windows OS Configuration" -> set WINDOWS 7 INSTALLATION MODE to DISABLE. Under "Integrated Peripherals" -> set HD AUDIO CONTROLLER to DISABLE. Advanced Mode (F7) -> Settings -> Advanced Settings -> PCI-E Subsystem Settings -> set 4G DECODE to ENABLE. set PEG1 to "GEN 2"
set PEG2 to "GEN 2"
set PCI Latency to "96 Cycles"
Advanced Mode (F7) -> Settings -> Advanced Settings -> PCI-E Subsystem Settings -> set 4G DECODE to DISABLE. set PEG1 to "GEN 1"
set PEG2 to "GEN 1"
Advanced mode (F7) -> "Boot" section -> set "4G Decode" to ENABLE. Under "Advanced" -> Onboard Devices Configuration -> set HD AUDIO CONTROLLER to DISABLE. Under "Advanced" -> PCH Configuration -> set PCI-E Link Speed to GEN2. Do not use this GPU in the gpu0 slot. Instead, use another GPU. Use a 16x16x ribbon riser in the gpu0 slot. set PRIMARY GRAPHICS to ONBOARD. set SHARE MEMORY to 32MB. NOTE: If you use onboard video, POST will occur on onboard video, and the ethOS desktop will be displayed on gpu0. The following fatal errors will prevent mining if your GPU, RISER, or other HARDWARE experience a failure. This hardware error cannot be fixed with software. Follow the procedure below to determine which hardware is causing the failure. Unplug half the GPUs from risers. Reseat the power and riser connections of the other half. If the rig starts mining after step 4, proceed with step 6. Repeatedly add GPUs one by one until the rig experiences the above error again. If the rig does not start mining after step 4, then power off, unplug the other half, plug the other half back, and proceed with step 6. Example: You suspect that your motherboard is faulty. Follow the below robust troubleshooting procedure step-by-step and do not skip any steps. Failure to follow this guide when asked by ethOS or gpuShack staff (as part of RMA procedure) will result in a voided warranty, as described in the gpuShack Warranty Agreement. This robust troubleshooting procedure is useful because it isolates the issue to your suspect component. Otherwise, the issue could be a power balance issue, riser problem, loose cabling, bad power socket, bad PSU, etc. IF YOU SUSPECT THAT YOUR MOTHERBOARD IS FAULTY, DO NOT SWAP IN OTHER COMPONENTS INTO THE NON-WORKING RIG IN THE HOPES THAT IT WILL WORK. INSTEAD, SWAP YOUR SUSPECT MOTHERBOARD INTO ANOTHER WORKING RIG! THIS MEANS YOU MUST NOT MOVE THE RAM, DRIVEs, CPUs, CABLEs, OR PSUs FROM THE SUSPECT RIG, AND THAT YOU MUST REMOVE ONLY THE MOTHERBOARD FROM THE SUSPECT RIG. Power off the working rig. Remove the suspect/"faulty" motherboard from your suspect/"faulty" rig. Remove only the working motherboard from your working rig, and keep the rest of the components there. Swap in the suspect/"faulty" motherboard into the working rig, where the previous working motherboard used to be. Test the working rig and suspect motherboard by following these guides: Booting a Rig without a Power Button and Initial Setup. If the issue is resolved, then the issue is not with the motherboard. You can do this process for any component that you suspect is faulty. Connect your computer to the same network as your rigs. Putty is an executable that can be run without installing. Find the IP of your rig. You can find your rig's IP on your ethosdistro.com stats panel, on your rig's desktop, or on your router's DHCP client table. Open Putty and input Rig Information. Type the rig's IP into Host Name. Port should be 22. Click Open. When the terminal window shows up, login with username ethos, password live. Type helpme and press ENTER to get started. Pasting Text: In Windows, CTRL+C to copy text. In putty, SHIFT+INSERT to paste it. Change the root and ethos passwords. NOTE: Failure to change passwords will allow people to hack your ethOS (high rx/tx). You can also set up a dedicated VPN box on your rigs' network, and connect to it using your favorite VPN software. ethOS comes pre-installed with a sample remote config. ethOS will over-write the contents of /home/ethos/local.conf if the remote config feature remains on. You can also blank out /home/ethos/remote.conf to turn off the remote config feature. Note: If you have just one rig, set ethOS to single-rig mode before following this guide. Edit either your remotely hosted config file, or /home/ethos/local.conf (single-rig mode). After you change the config, run putconf && minestop, the miner will stop, and then start up automatically with your new settings. Use show miner to watch the miner log. After your wallet is switched, in 5-10 minutes, your pool should show mining activity. You can copy and paste your wallet to the pool website interface in order to check for mining activity. To switch your worker name and assign a rack location, follow the below guide. In your config, set loc [worker] newname ([worker] is your original 6-digit rigname and "newname" is your new rig name). Do not add a newname to your wallet like wallet.newname, this will not work. Do not use very long newname. The maximum length is 8 characters. Do not use the same newname for multiple rigs. After this procedure, your pool will see your new worker name, and your rig will have a new rack location assigned on the ethosdistro.com panel. Find your worker name for each rig. ethOS assigns a 6-digit alphanumeric code (worker name) for each rig. You can find out your worker name by looking at the ethosdistro.com stats panel, rig desktop, or ssh terminal. Login to the pool website. On the pool website, add a worker for each ethOS rig/worker that you have, use password "x". Note: If you use the loc parameter in your config, your worker name will be the loc that you specified. In your config, set proxywallet username where username is your actual pool-side user name that you use to login. Copy http://ethosdistro.com/pool.txt and host it yourself on a remote server, vps, or shared hosting account that you control. Get the link to your remote config like http://your-server.com/config.txt. NOTE: The link http://your-server.com/config.txt is an example. You must use your own link. Make changes to your remotely hosted config, and reboot your rig to have them take effect. Set your custompanel (optional, but recommended), edit the config to suit your preferences. Press 'Save Changes' and bookmark your private text editor. Make changes to your ConfigMaker.com config to manage your rigs. Setting up your ConfigMaker config allows you to manage all of your rigs remotely (even reboot). If you do not have a remote server, you can use DigitalOcean. Go to DigitalOcean (follow this link to get 2 months free), create an account, then click on "Create Droplet". Select "LAMP on 14.04", $5/mo, and the datacenter closest to your physical location. After the droplet is created, follow the SSH guide to SSH to your DigitalOcean droplet. To use your remote config, see: Setting up your own remote config. Make changes to your interfaces using this as a guide. NOTE: Set the IP according to your correct IP range, outside of your DHCP range. It is best to have your rig stable for 24 hours before attempting overclocks. Follow the instructions on http://ethosdistro.com/pool.txt to set overclocks globally, or for individual rigs. After you set overclocks, you can either reboot, and the rig will take the new config and apply the new clocks automatically, or you can run putconf && ethos-overclock, and your rig will apply the overclocks during the mining session. Reduce all overclocks to stock settings and reboot. Monitor the rig for 24 hours to make sure it does not crash again. If required, set a less aggressive overclock and continue to monitor the rig. If your GPUs reach near the maxgputemp, all fans will set to 100%, and all GPUs will attempt to go into a lower power state. If your GPUs exceed maxgputemp, all mining programs will shut down. Do not set fan speed on individual GPUs, set globalfan to a higher value. Remove -tt from the claymore flags options, (using claymore fan control will break globalfan). Check to make sure there are no broken fans or loose cables in the GPU fans. Move the GPUs around in your rig, make sure that the hottest one has ample spacing for airflow. Physically swap the locations of the coldest and hottest GPUs in your rig, to balance temperatures. Set maxgputemp to a higher value. Point a box fan at your rig, with the air flowing from the back of the GPU, out through the metal L-shaped IO brackets. Repaste the GPU with thermal repaste, following the gpuShack repaste guide. ethOS automatically assigns a 6-character panel ID based on a hash of your external IP address. 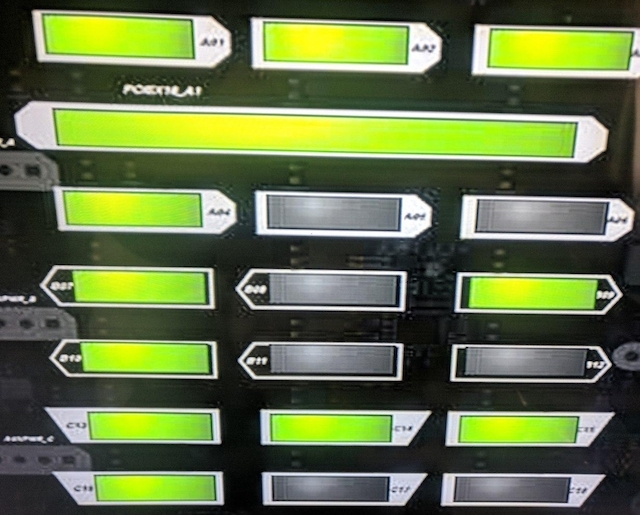 This way, all rigs on one network can report to the same panel. If your public IP changes, your panel ID will change. You can run helpme to get your current ethOS stats panel link. You can set your own custom Panel ID with the custompanel parameter. Set custompanel publicsecret in your config (EXACTLY 12 ALPHANUMERIC CHARACTERS, must be the SAME code on all your rigs). public (EXACTLY 6 ALPHANUMERIC CHARACTERS!) is your preferred panel ID. secret (EXACTLY 6 ALPHANUMERIC CHARACTERS!) is your private key. Example INCORRECT usage: custompanel ethman will do nothing. The pool-side reported hashrate should be completely ignored. The pool reports may report a hashrate of "0", or of just a single GPU. Please use the pool-side effective hashrate to see your true hashrate for the entire rig. Make sure that you are connecting to your pool via stratum. Do not use the pool config option if your node or pool is not on your local network, and make sure stratumproxy is enabled, and proxypool1 and proxypool2 are defined, as per the sample config located at http://ethosdistro.com/pool.txt. If there is packet loss, use another pool server that is closer to your geographic location. If you still get low hashrate, and if the router that your rig is connected to is also serving wifi, turn off the wifi feature and monitor the rig performance for another 24 hours. If the issue is resolved after disabling wifi, set up a dedicated router for your rig(s), and disable the wifi feature on the dedicated router. You can autotrade your mined Altcoins directly to a Bitcoin Wallet. Cick on the Deposit coin and select Ether (or any altcoin). Click on the Receive coin and select Bitcoin. Select Quick and click Continue. Checkmark I agree to terms and click Start Transaction. You will get a permanent receiving address. This address is controlled by Shapeshift, which will autotrade all deposits to Bitcoin, and send them to your Bitcoin Address. Set Shapeshift's receiving address in ethOS to mine directly to it and get Bitcoin in return. Ethereum uses a DAG that is loaded into GPU VRAM. With every dag increase, hashrate lowers slightly. This is normal. You cannot intermix HD/R7/R9 with RX and/or with NVIDIA in the same rig. They use different drivers that cannot work together. You can mine EXP, ETC and other ethash/daggerhashimoto coins simply by switching pools and wallets. A crashed GPU becomes cold and usually reduces memclock. This is visible in your ethosdistro.com stats panel. The best powertune value for R9 290/x/390/x is 50. The best core clock for R9 285/380 is 800mhz, which will reduce power and temperature usage with minimal effect on hashrate. In most cases, adjusting gpu memory clock will result in instability. The best value is the default factory memory clock. Boot into ethOS locally, with a monitor attached. Run the teamviewer command in the terminal. Read and accept the EULA; when the Welcome Wagon appears, click "Close". In the TeamViewer window, click "Connection" -> "Setup Unattended Access". In the Unattended Access wizard, click "Next". Do not change the computer name, and set your password (this will be your remote access password). Select "I don't want to create a TeamViewer account now", then click "Next". Click "Finish" to complete the wizard, and save your Connection Id Number. Download and install "TeamViewer for Remote Control" for your PC, Tablet, or Phone, and start the application there. Enter the TeamViewer ID Number that you saved earlier, then press "Remote Control". Enter the password that you set earlier, and press "OK". To delete TeamViewer: run remove-teamviewer (available as of ethOS 1.2.9). NOTE: If TeamViewer is deleted, reimaging ethOS is the only way to reinstall it.